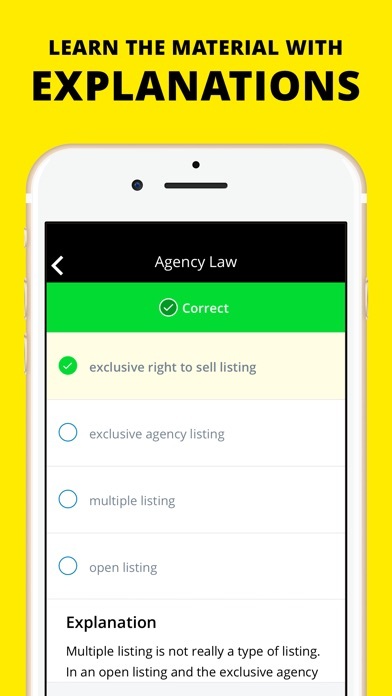 With the help of this app and other study materials I passed my Georgia Real Estate Exam the 1st Time! The introductory/beginning of the app really helped me as well so take time to read it ... it might help help you too! 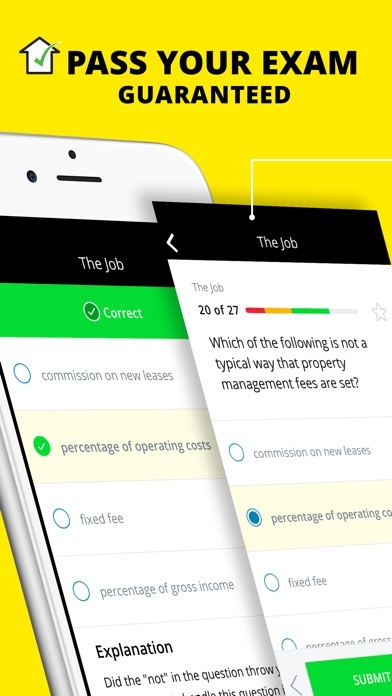 This practice test helped me to pass my TX Real Estate Exam ! This is 5 stars book . Lots of practice exam questions you will see in Pearson Vue exam. Awesome App, could use podcasts/ videos. 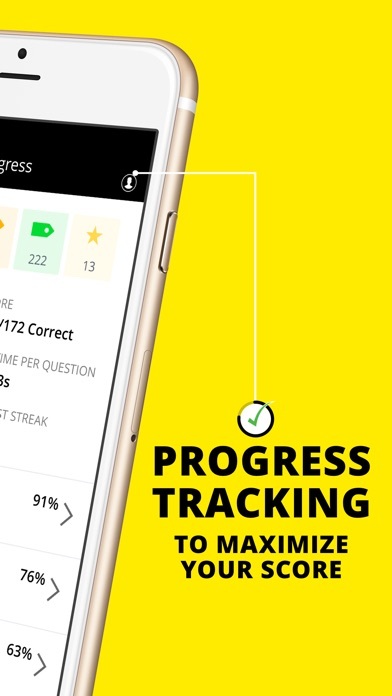 Awesome app, it’s seriously helped me out a lot. There are little tips and tricks you don’t learn in the normal Real Estate classes. It’s well organized and setup, and it’s great on the go. The only 2 things that I think would make this app the perfect RE app would be video/podcasts and if there was a website I could log onto. Sometimes it would be convenient, I feel, to be able to access all this on my computer. I paid for my year subscription three days ago and now it's like it's back on the trial version. Can someone fix my problem please. I was getting into this app. I paid for it. Really wanted to study during the weekend. It kicked me out and I had to buy it 2 more times. I wouldn’t have wasted my money but, there is no one to contact on the weekend. Now I am out $30 and the stupid app does not work!!! I do not recommend. I lost a whole weekend, and $30 for a app that doesn’t work. I’m very mad! 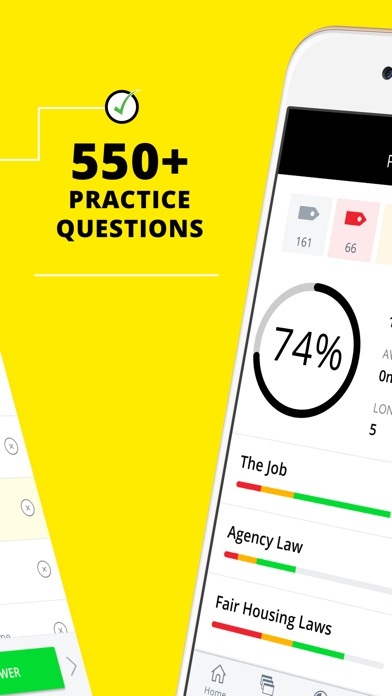 I purchased this app to cram with 1week before taking my pre-license exam. Passed it on the 1st try. Studied an additional 2 weeks before taking the state exam and also passed it on the 1st try!